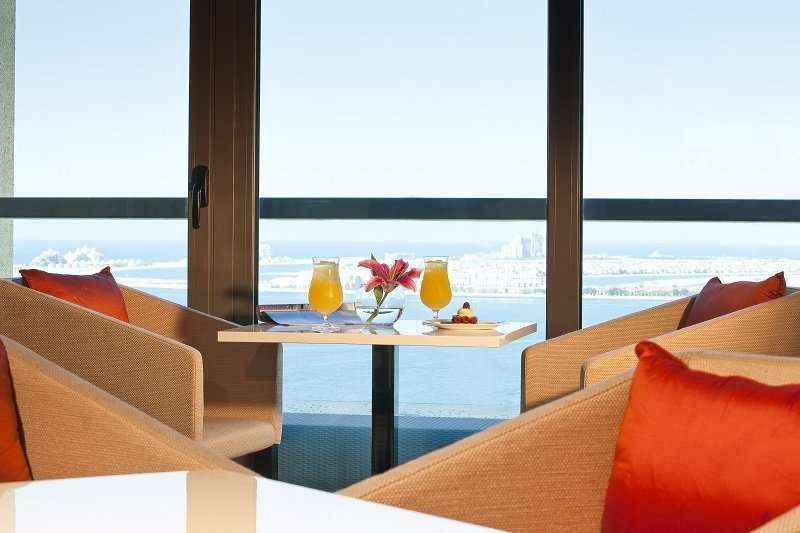 A superbly located beach front hotel, the JA Ocean View offers a range of dining and leisure facilities with fantastic views out over the waters of the Arabian Gulf. By blending luxury and modern facilities, the JA Ocean View Hotel makes the perfect base to explore this bustling city. 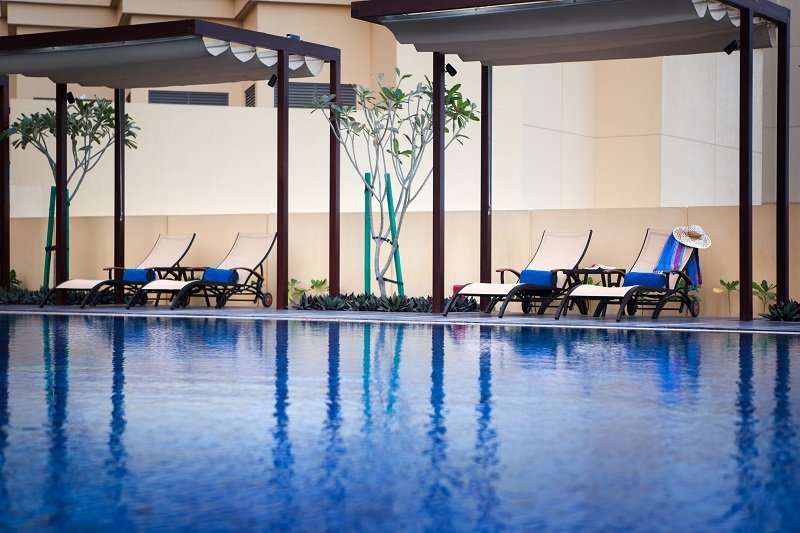 The JA Ocean View hotel lies opposite the Marina Beach, and is situated at the mouth of the Palm Jumeriah. 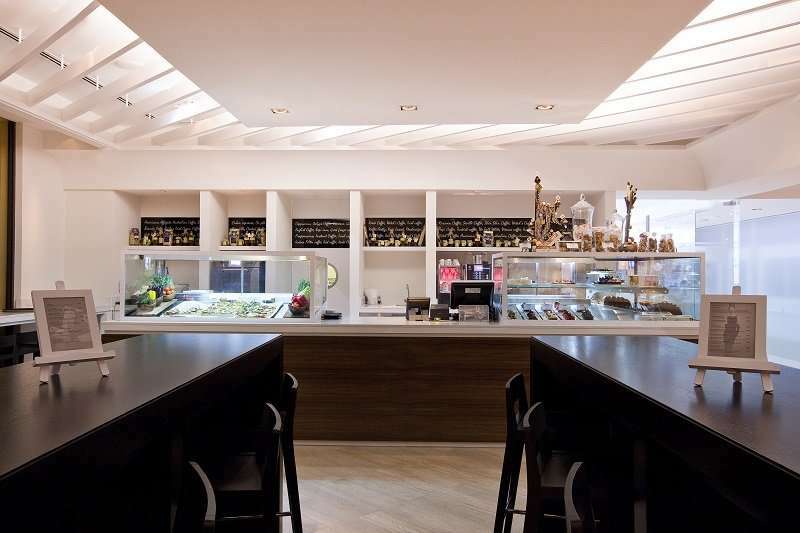 On the Marina Beach, guests are spoiled for choice with a variety of eateries and bars. Cravings for retail therapy can be easily satisfied at the Adventure HQ shopping centre, just a 13 minute walk away. 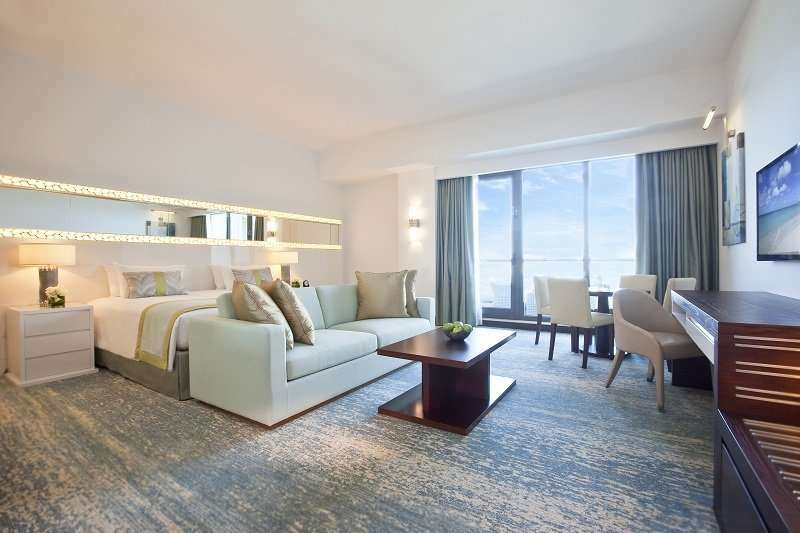 As the hotel is situated just 3 kilometres away from the Dubai Marina, guests will find that a huge array of restaurants are on offer at their fingertips. Not only would visitors have the opportunity to enjoy delectable cuisine, they can do so with a magnificent view of the marina. 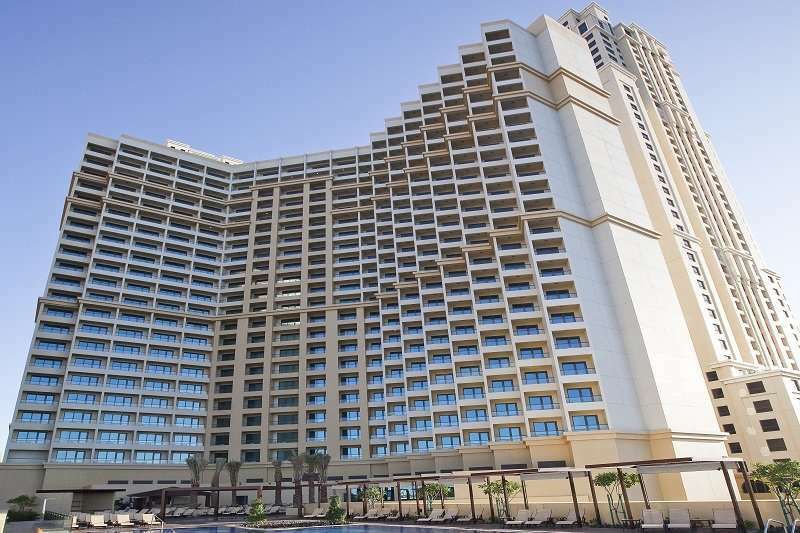 Further entertainment can be found at the Palm Jumeriah, the world’s largest man-made island. This property provides its guests with the opportunity to play some of the region’s best golf courses with ease. The Montgomerie golf course is just 10 minutes away, and the Earth Course at the Jumeirah Golf Estates is 25 minutes away by car. 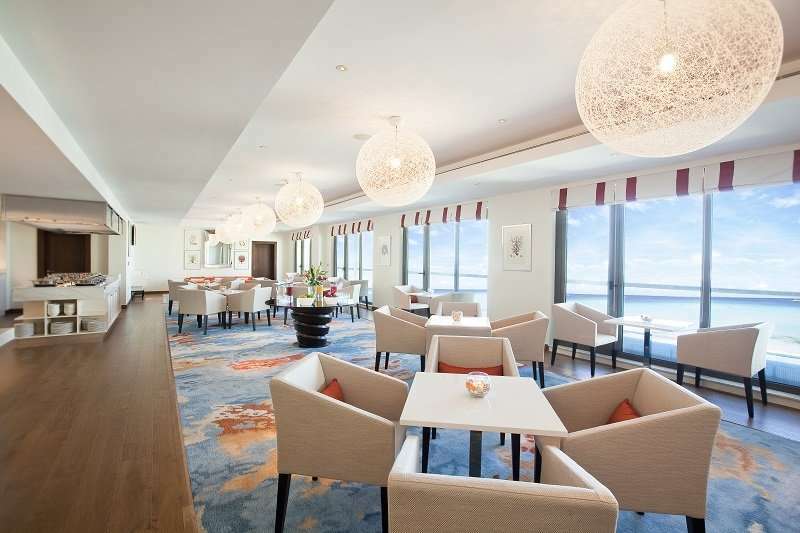 The JA Ocean View hotel features 342 rooms and suites across 25 floors, all with spacious private balconies and a sea view. All rooms feature modern facilities such as complimentary Wi-Fi, air conditioning and a well-stocked minibar. Guests have the option of dining in with 24-hour room service. 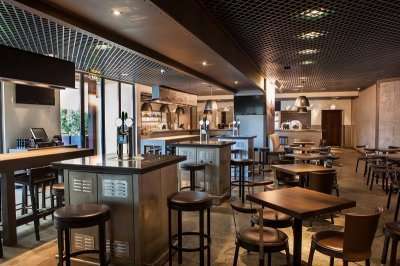 The restaurants and bars here are a real attraction; Le Rivage features all day dining with live cooking stations, there is also a British pub, café, an outdoor bar showing live sporting events on a big screen, a pool and a rooftop bar with cocktails and live jazz music. The French brasserie Le Rivage is a particularly valuable asset of this hotel, with a stylish interior and live music acts to bring the restaurant to life. 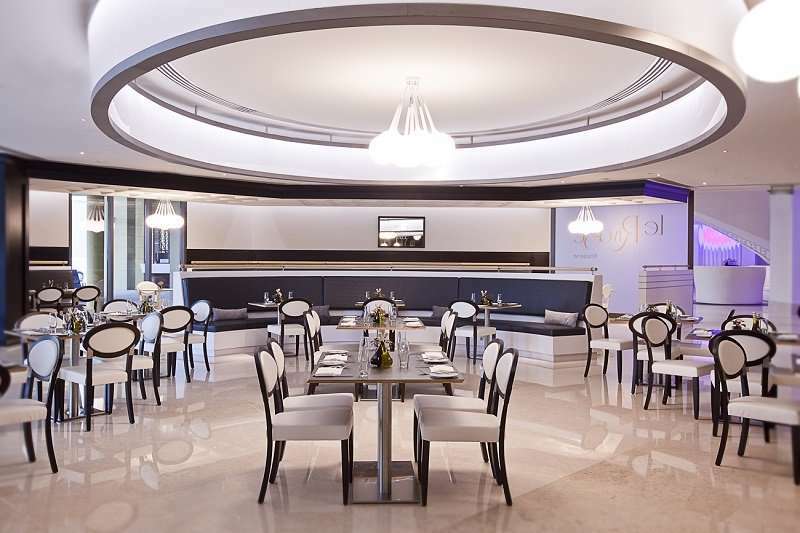 Guests also have the choice to enjoy these traditional French delicacies on the outside terrace whilst soaking up with stunning Dubai skyline. Alternatively, guests can choose to visit the Sehr Al Bahar at the Deck, where they can enjoy authentic Arabic mezze and fresh grills. Direct access to the beach from the temperature controlled swimming pool area really adds to the relaxing atmosphere here. 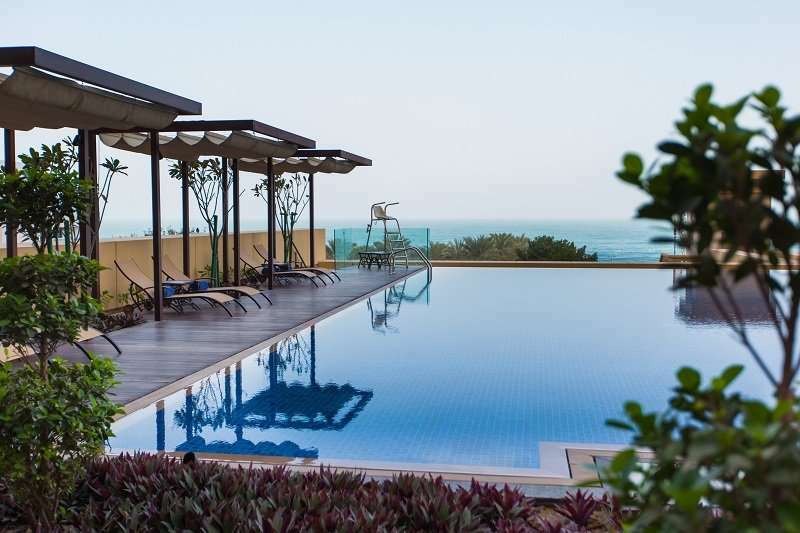 Furthermore, guests are also offered complimentary access to the private beach club at the JA Jebel Ali Golf Resort. Guests can choose to unwind further at the Calm Spa, where they can receive luxurious treatments ranging from a Swedish massage, to reflexology.